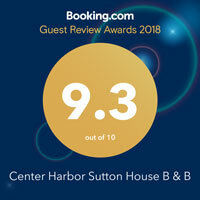 Enjoy a warm and personal stay at this friendly landmark accommodation in Center Harbor, New Hampshire. 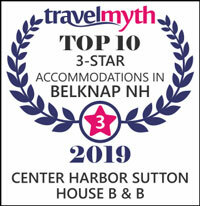 Located in a natural setting yet in the middle of abundant activities, this Lakes Region bed and breakfast will have you returning again and again. The family and pet friendly Sutton House is a fully restored 3 story Victorian mansion with 9 cozy guest rooms each with its own private full bathroom. 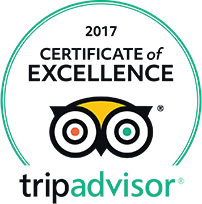 We operate as a full service traditional Bed & Breakfast for couples, families and solo travelers who desire a relaxing get away or special occasion trip to celebrate and vacation together. 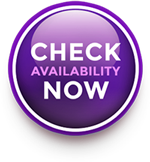 Large groups can reserve as a Whole House Vacation Rental for Weddings, Family Reunions, Corporate Retreats, Special Birthday & Anniversary Celebrations, Baby Showers, Quilting Retreats, Workshops & Training Events. 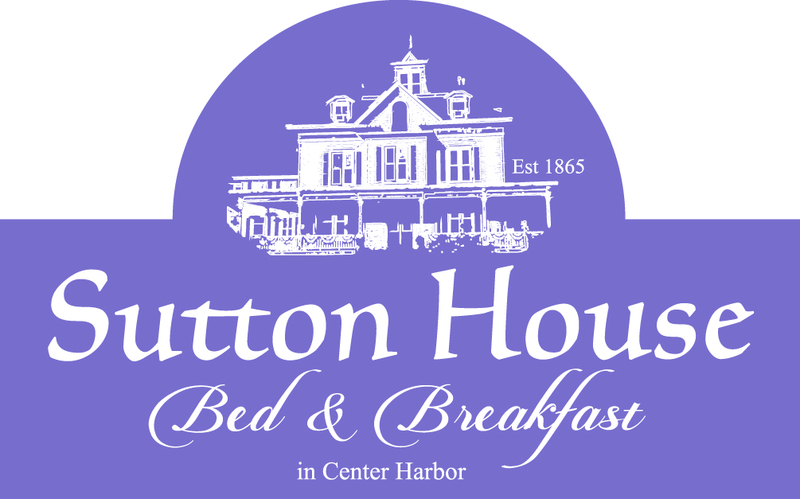 Sutton House B & B goes GREEN! From April 15 through April 24 we are installing a 13 Unit Mini-Split Cooling & Heat Pump system powered by 90 Solar Panels being installed on our newly re-roofed Carriage House, New Balcony and Inn Keeper Quarter's. Our 9 individually decorated guest rooms each with their own private bathroom are designed to accommodate a wide range of guest requirements. First floor suites are senior and pet friendly. Detailed descriptions of all guest rooms and room amenities can be found by selecting the button for Guest Rooms. Breakfast time is a happy, fun time when stories are shared, new friends are made, and insights to local events are exchanged. Our popular breakfast menu is posted under the Breakfast & Brunch tab. Staying at the Sutton House brings all of what the Lakes Region and White Mountains Region has to offer within a short drive of this central location. There is something for everyone of all ages and interests. Nestled in the quaint New England village of Center Harbor on the NW end of Lake Winnipesaukee you will enjoy boutique shops, restaurants, lake access, parks, free concerts, festivals, water sports, pool and lake swimming plus ice skating, kayaking, fishing, and snowmobiling all right at your doorstep. Center Harbor is known for the MS Mt. Washington lake cruise ship, Keepsake Quilting, free summer bandstand concerts and popular restaurants such as Osteria Poggio, The Canoe and Dewey's Ice Cream Cafe. Our surrounding towns include Meredith, Holderness, Moultonboro, Tamworth, Sandwich, Plymouth, Ashland, Laconia, Weirs Beach, and Wolfeboro. Tranquil hikes and nature trails are open year round in nearby Center Harbor Woods, Chamberlin Preserve, Proctor Preserve and the Loon Center. The Natural Science Center is only a 15 min. drive and is near the scenic Rattle Snake Trail. Our town is almost an island ourselves by being surrounded by Lake Winnipesaukee, Squam Lake, Lake Winona, Lake Kanasatka, and Lake Waukewan. Definitely a kayaker's paradise! Hiking trail guides are available in the Living Room. Check out our town village map and links to local shops. This beautiful area is home to the Castle in the Clouds, summer theater & concerts, dog sledding, kayaking, canoeing, steam boating, antique car and boat shows, antique shops, maple sugar houses, organic farms and the famous Laconia Motorcycle Rally. Or you can just kick back and read a book, do a puzzle, listen to the birds, watch the backyard wildlife, dip in the pool or sleep 'til noon. Best place to relax? The upper balcony hammock!